As state laws and ideas have shifted over the last few years, the legalization of medical marijuana has been sweeping the country. Include Pennsylvania on that list. If you’re a medical marijuana patient looking for a good dispensary in your area, we’re here to help you out. Here are a few of the best. Per its website, The Green Remedy was Pennsylvania's first medical marijuana clinic and advocacy center. Since its inception, doctors at The Green Remedy have been treating chronic and debilitating pain and other conditions with cannabis and other natural remedies. They offer cannabis certifications, medical nutrition therapy, and integrative care. Request an appointment online today if you believe you have a qualifying condition. 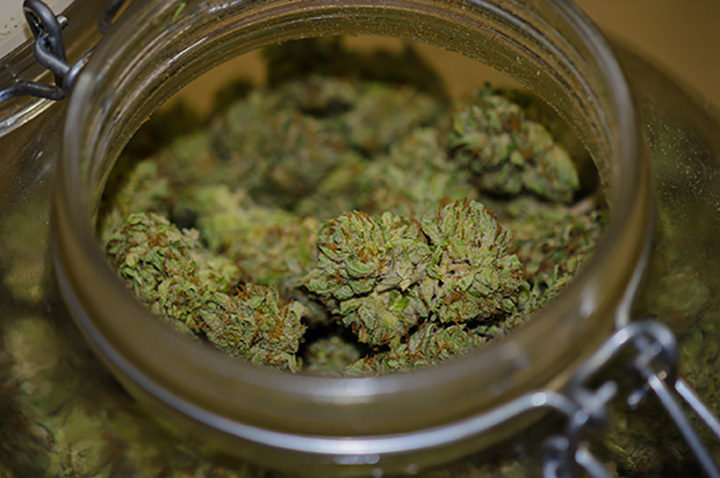 Each of Cure's locations offers medical marijuana products in a variety of forms. You'll find pills, oils, tinctures, liquids, and topical solutions including gels, creams, and ointments. Cure is cash only, but there is an ATM available on-site. No matter what your preferred method of medicating is, Cure has the cure for you. Not convinced? Just check out the testimonials on their website. Organic Remedies works alongside PA Medical Marijuana Program approved growers to provide their patients with high-quality products. From capsules to oils, tinctures, and concentrates, you'll find products to meet your needs at both locations. If you aren't sure where to start, the staff will work with you to ensure that all of your needs are met from the moment you walk in the door. Rise dispensaries offers many different resources to help their patients. From their "Cannabis Classroom," which educates new patients on the benefits of cannabis, what's right for them, and more, to a large menu, rewards program, and the ability to schedule an appointment with a pharmacist online. It's this dedication to making the lives of patients easier and more comfortable that brings PA residents back again and again. When you walk in to Justice Grown, you'll feel like you're walking into the home of a loved one. From sales associates to doctors, each of the staff members here strives to deliver information, medical cards, and products with a caring and compassionate attitude. And their wide range of products and methods for medicating don't hurt, either. If you're looking for a safe, welcoming environment featuring a staff that will do whatever they need to ensure that your experience is a pleasant one, Columbia Care in Scranton is where you want to be. As far as the menu goes, Columbia Care offers what you'll expect: tinctures, vape pens and cartridges, along with capsules, so you can get your dose the way you enjoy it most. The Mission dispensary works hard to ensure that new patients are fully informed of all things involving medical marijuana. They provide information on strains, methods of consumption, a glossary, and more, so you can be sure you're making the best possible decisions regarding your course of treatment. For store info and a comprehensive menu, check out their website. If you're located in the Greater Philadelphia area and are looking to get your next dose of medical marijuana, one of TerraVida Holistic Centers' three locations should be your first stop. Locals value the friendly, knowledgeable staff, beautiful facility, and well-priced selection. Stop by and see it for yourself the next time you're in Abington, Sellersville, or Malvern. Keystone's number one goal is to make medical marijuana available to as many qualifying patients as possible—as soon as possible. In short, the staff at these shops is dedicated to helping as many people as they can, and they work hard to do so. Check out their menu online, but don't forget to give the shops a call, too, as their product changes often. Whether you're a first-time or long-time patient, Ilera Healthcare's staff is always available to give you advice or a brief consultation. Want to try something different than your regular method of medication? Just ask, and the staff will be happy to make a recommendation to you. If you're not yet registered and don't have your state-issued medical marijuana card, all you need to do is complete your registration on their website. Visit the dispensary for a free and confidential education session to make sure that medical marijuana is right for you before registering.